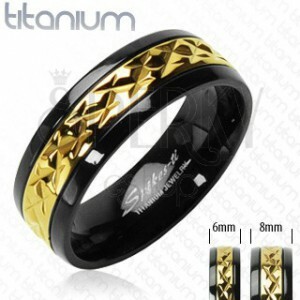 A titanium ring in black color with golden patterned stripe. 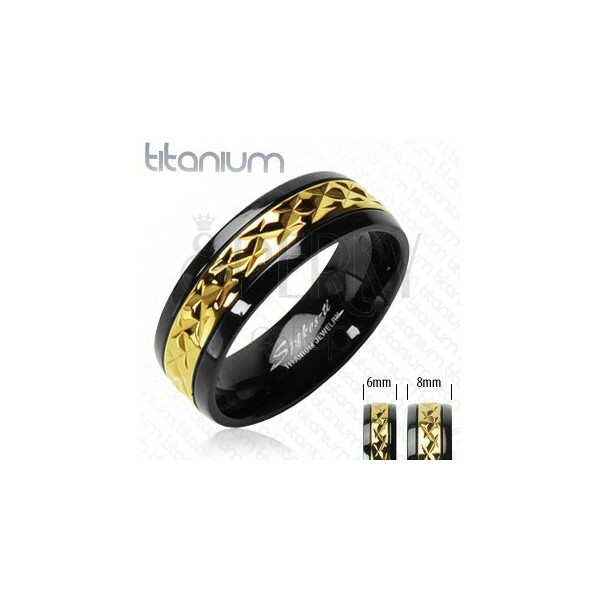 A black ring made of titanium is decorated with a patterned stripe in gold color. Caution: the golden color is only a surface finish of the material, a change in color tone is possible.